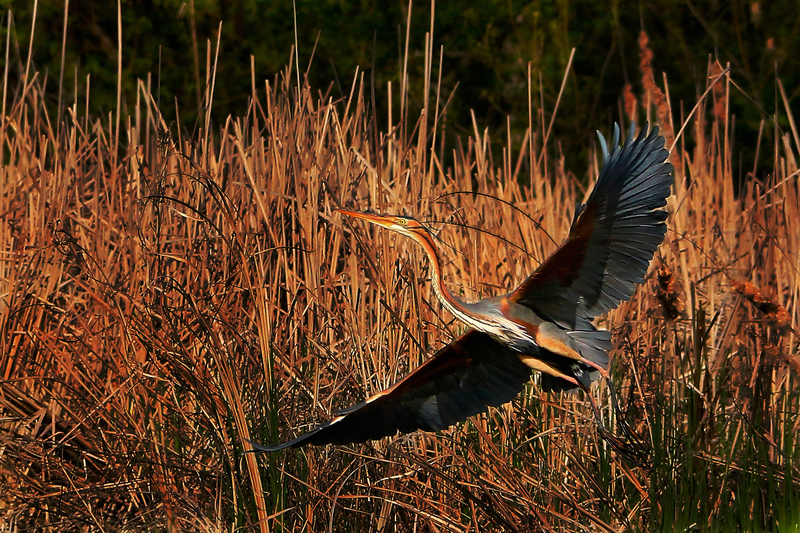 The purple heron (Ardea purpurea) is a wide ranging species of wading bird in the heron family, Ardeidae. The scientific name comes from Latin ardea "heron", and purpureus, "coloured purple". It breeds in Africa, central and southern Europe, and southern and eastern Asia. The Western Palearctic populations migrate between breeding and wintering habitats whereas the African and tropical-Asian populations are primarily sedentary, except for occasional dispersive movements. Taxonomy: Ardea purpurea Linnaeus, 1766, “in Oriente”; restricted to France.